Today’s post is really more of a photo essay. 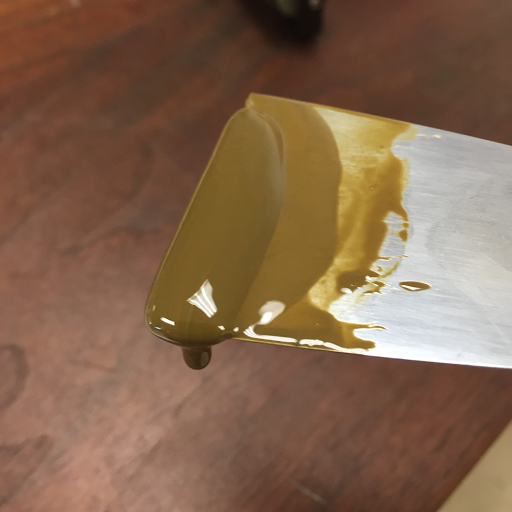 I had already ground a bunch of black slate and yellow ochre into fine powders, water-sorted to keep the finest pigment particles, and dried the results of that sorting. What I’m doing in these photos is a process called “mulling”. 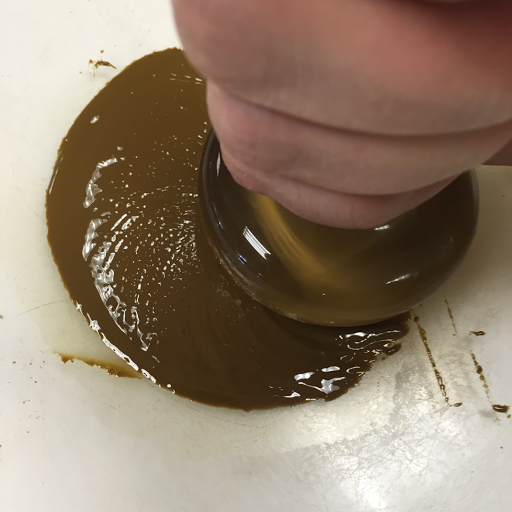 The point is not to grind the pigment – it should already be powdered and sorted before it gets to the mulling slab. 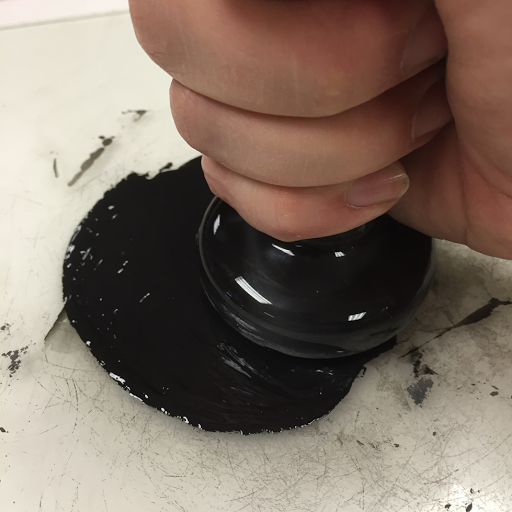 The point is to break up all of the tiny pigment particles and get them suspended evenly in the ink vehicle. The black ink was easy. The slate particles are so consistently fine that they didn’t even try to stick together. I didn’t know how easy I had in until I tried mulling the ochre. 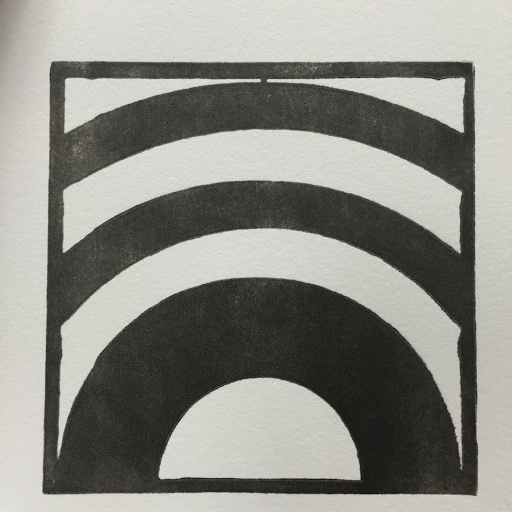 And this, right here, is my first ever print with hand-ground local pigment. 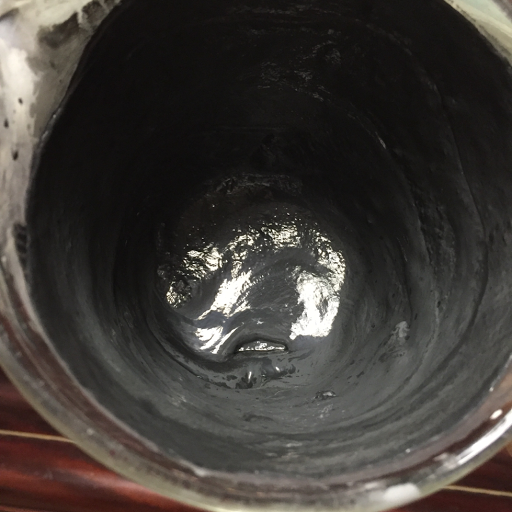 It is nowhere near as dense and opaque as commercially made chemical pigment, but it’s pretty nice nonetheless. I can see that the density and characteristics of the inks are going to be a driving factor in my choice of subjects and designs. 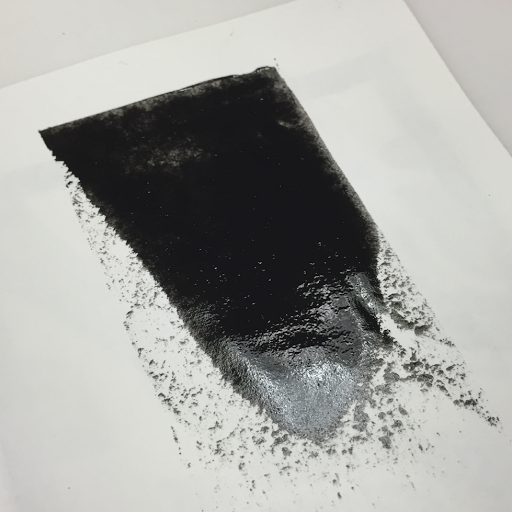 Foggy, misty, ephemeral images are a natural match for this type of ink density. Hard, graphic images might not work so well. Here, again, is the mulling process, this time with ochre. 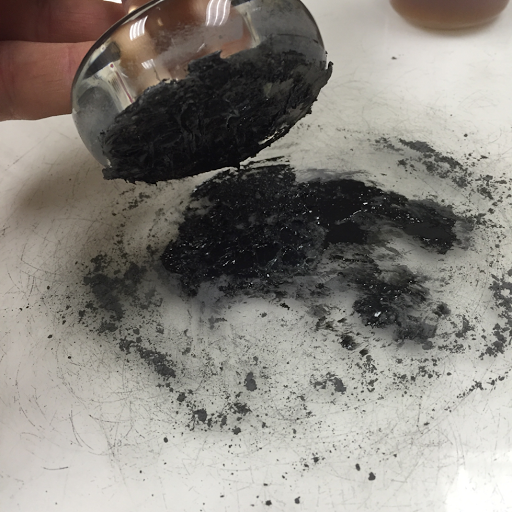 Here you can see the three components to this ink. On the muller is a transparent base, essentially ink without any pigment. 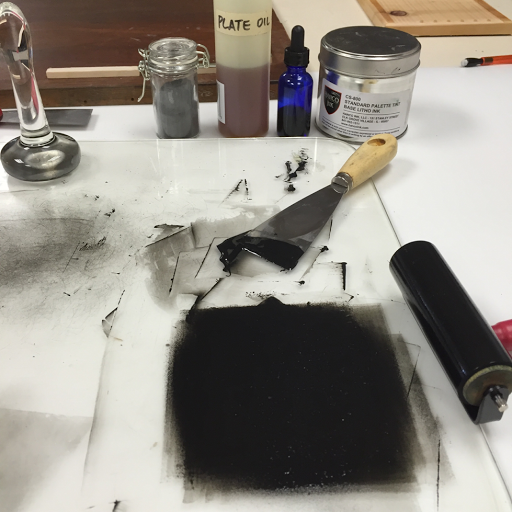 On the slab are the other two components, pigment powder and plate oil. These two should mix together to give me the pigment component of the finished ink. The one part that is missing from the photo is the cobalt drier. Since most of my prints will probably involve several layers of ink, I need the base layers to dry before laying down more. 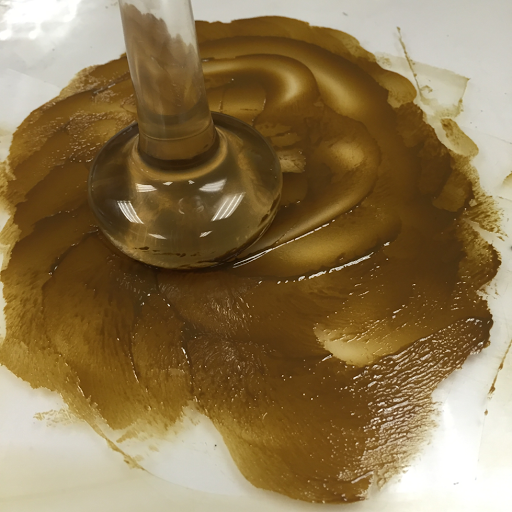 Cobalt drier speeds up the drying of the oil. Gentle mulling like I had done with the black ink was not enough. 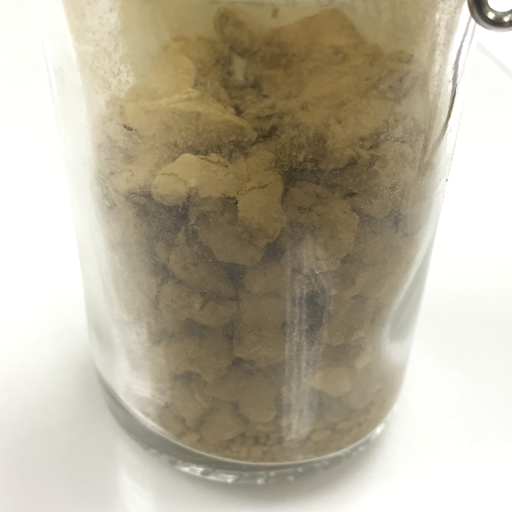 The ochre likes to stay clumped into tiny pieces that look like sand. So I had to mull much more vigorously, spreading the ink out into a very thin layer and scraping it back up with a palette knife to smear it out again and again. 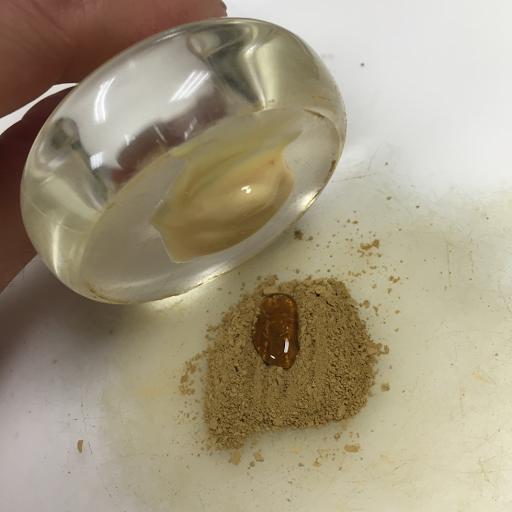 This pigment gave me a rich, gorgeous golden brown. And then, when I was cleaning up, I noticed something funny. The ink that had sat out in the air for a few minutes was turning dark. In the following photo you can see what I mean. 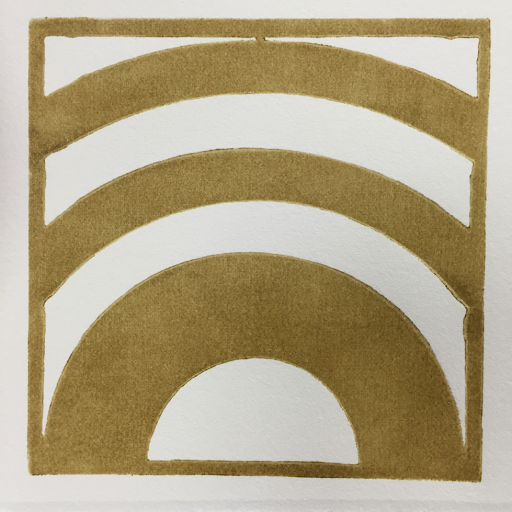 My hunch is that the cobalt drier is affecting the ochre pigment. I’ll have to do some tests and see if that’s the case. I hope so because having the pigments oxidize all on their own is a bad trait for archival purposes. I can deal with skipping the cobalt and letting prints dry for longer. I am not so excited about dealing with prints changing color over time.